Russell Investments is searching for a new asset consultant to be based in its Auckland office. According to advertised job description, the Russell consulting “role leads and assists in relationships with institutional clients through the production and presentation of investment advice”. Last month the Wellington-based Russell Investments head of asset consulting, Andrew Johnson, left the firm after nine years. However, it is understood the newly-advertised role relates to a staff change at the Auckland office rather than a relocation of Johnson’s former duties. Earlier in July, Johnson was granted licensed independent trustee (LIT) status, heralding a career shift into fund governance. Elsewhere, Nikko Asset Management last week named a new chair in a move that would bring diversity and drive to the $5.3 billion funds management group, according to chief, George Carter. Carter said the newly-appointed chair, Tracey Berry – who replaces Tokyo-based, David Semaya, in the role – had vast experience across the NZ financial services industry, including a pivotal role in launching the Kiwibank KiwiSaver scheme (now Kiwi Wealth). Nikko launched its own KiwiSaver scheme this year to be partnered with an in-house built robo-advice service some time this year. Berry has resigned as Kiwibank group manager sales and service to take up the governance gig at Nikko. She has a distinguished record in the NZ bank wealth management sphere – heading the respective divisions at one time or another for Kiwibank, BNZ and Westpac. As well, Berry is a current member of the Financial Markets Authority Financial Advisers Disciplinary Committee. 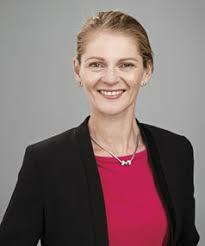 She joins Carter, Tokyo-based executive Junichi Sayato, and the recently-appointed Tracey Jones on the NZ Nikko board. Jones, who has extensive family office experience in NZ, was hired as Nikko director last August. Carter said both Traceys were brought on for their skills rather than for explicit gender diversity purposes. Meanwhile, last week the Hastings-headquartered Stewart Group bumped up its staff numbers with two appointments, naming Francis Herridge as accountant and former wine marketing executive, Geoff Wilson, in a new advisory and sales support role. The Stewart Group co-ordinates the Boutique Advisers Alliance (BAA) and is behind the Dimensional Fund Advisors-managed Asset Class KiwiSaver products, housed in the Booster scheme. Wilson takes on a KiwiSaver advice position for the Stewart Group (he is training for authorised financial adviser status) and as a business development manager for BAA, which currently supports three or four underlying advisory firms. Prior to joining the Stewart Group, Wilson worked for the Gimblett Gravels wine firm but the UK ex-pat also has experience in the risk management and insurance industries.